“The discovery of a new dish does more for the happiness of mankind than the discovery of a star.” – Brillat-Savarin, 1838. This is the first line from my favorite cookbook in the world – The Silver Palate. Growing up on the Upper Westside of Manhattan, I often felt I lived in the center of the universe. Seriously, The Silver Palate gourmet food store was a mere 10 blocks from my doorstep, what else would I think? In 1982 their cookbook exploded on the National food scene and guided us on a new wave of quality cooking. The easy, yet stylish recipes helped cement our new found joy in gourmet ingredients and preparation. I have SO many favorite recipes from this book. The linguine with tomatoes and basil is a flawless dish with gooey brie, garlicky tomatoes and fragrant basil – a definite crowd pleaser. The Chicken Marbella is timeless, classic and brinish with green olives and diminutive capers. The carrot cake is decadent with chunks of juicy pineapple, walnuts and a rich cream cheese frosting that leaves you yearning for a second piece. Need I say more? 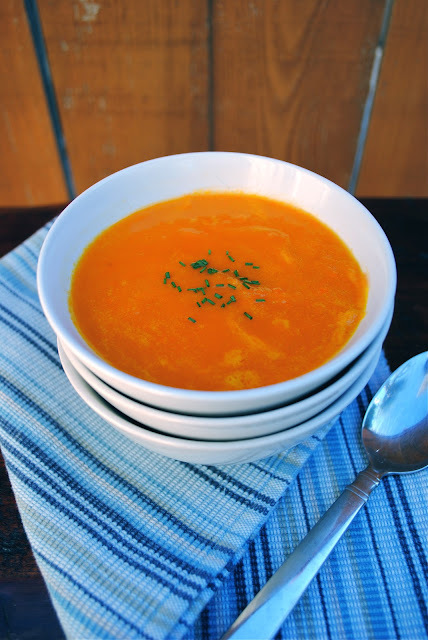 This carrot soup from SP is so delicious and simple it almost makes me weep. The fresh orange juice gently enhances the sweetness of the carrots and onions. 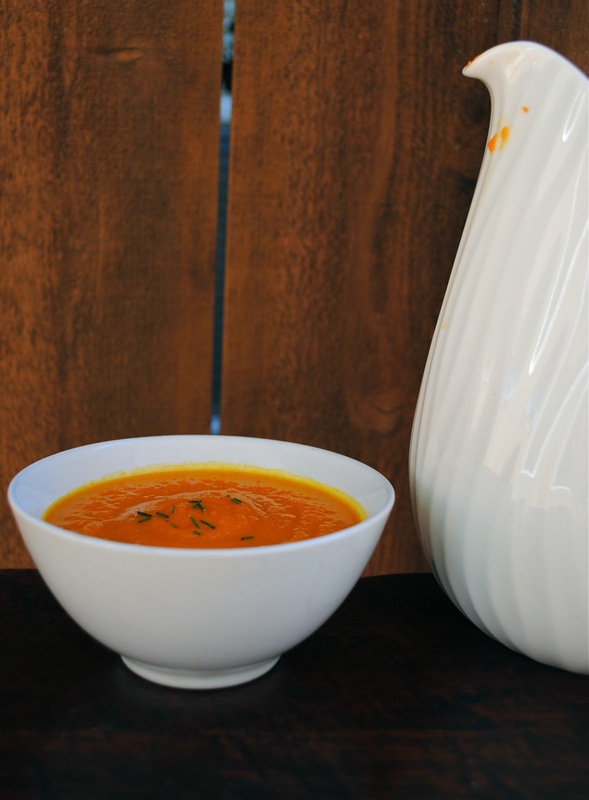 It’s bold in flavor yet so undemanding it can begin a four-course meal. Although Manhattan may not be the center of the universe, it’s definitely a launching pad for all things great. The Silver Palate was great - with an imaginative range of recipes that quickly became a staple in homes across the country. Melt the butter in a pot. Add the onions, cover and cook over low heat until tender and lightly colored. about 25 minutes. Add carrots and broth and bring to a boil. 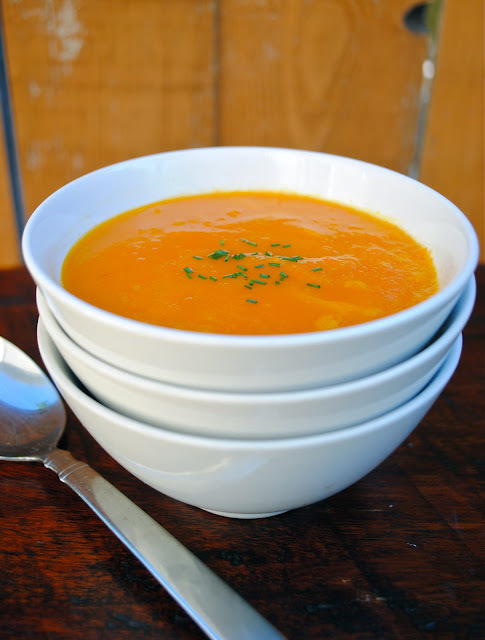 Reduce heat, cover and simmer until carrots are very tender, about 30 minutes. Either puree soup in batches with a blender or food processor or use an immersion blender right in the pot. Blend until smooth. Add orange juice and extra broth for desired consistency. I just tried this recipe and I featured it on my blog. I totally agree with you -- the flavor is amazing. 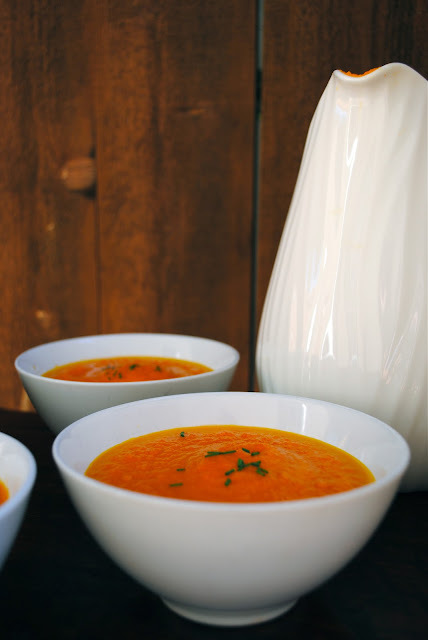 I never would have thought that carrot soup would be a show stopper, but this recipe definitely hits it out of the park.